12 on Shan at Balestier - Is it bang for the buck or...the wall? Poised to be amongst the best home addresses in Singapore’s city fringe region – the ever bustling Balestier – 12 on Shan (former Shan Court) is a freehold property that is expected to be completed by 2019. With property developer TA Realty Pte Ltd heading the project, one can expect the quality and innovation in design, construction and service to be more than satisfactory. It is then but natural that urban dwellers who want to keep close to all hip and happening city locales are quite fascinated by 12 on Shan. 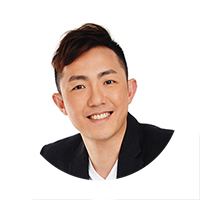 Being one of the established property developers and construction groups in Singapore, TA Realty Pte Ltd – part of TA Corporation has a solid & well-proven track record of completed developments such as Starlight Suites in River Valley and The Skywoods condo. 12 on Shan is in fact their 2nd development in the Balestier precinct, with the first being Ascent 456 – which is still under construction. Life in the city is as much about luxury as it is about convenience, locating on 12 Shan Road, Singapore. Apart from being well connected to all parts of the city via road and public transport services, 12 on Shan promises future home owners the most luxuriant of lifestyles and amenities. 12 on Shan is in close proximity to prime establishments like Shaw Plaza, United Square, Novena Square and Velocity. Top-notch educational institutions such as Balestier Hill Primary and Secondary School, EASB Institute of Management as well as Curtin University are quite close by. Novena MRT Station is about five minutes’ walk from the condo establishment that makes it easier for residents to travel to distant places in Singapore. One can easily drive down to major areas of Singapore via Central Expressway (CTE) and Pan Island Expressway (PIE). Another major advantage of living in this development is its nearness to the future Healthy City in Novena, comprising major hospitals such as Mount Elizabeth Novena Hospital, Thomson Medical Centre and the renowned Tan Tock Seng Hospital. The developers plan on having a wide range of condo facilities which go beyond the pale of typical leisure installations. Based on these projections, it is quite likely that 12 on Shan will be the epitome of decadent urban living in times to come. What’s most alluring perhaps is the exclusivity 12 on Shan stands for. With no more than 78 units in total, residents will have their own private haven in which to enjoy with complete abandon. From its central location and easy accessibility to the design, facilities and opulence, 12 on Shan gives you much to look forward to. The condominiums are well furnished and have high-quality finishes used in the interiors. All fittings used inside go well with the elegance of the entire building. Units are quite roomy with enough space for placing furniture. In fact the prime attraction of the condos is their high ceiling, which in turn, offers the entire apartment a comfy feeling. Other than all these facilities, 12 on Shan condo have swimming pool, sun loungers, gymnasium, and various sports complexes, apt for entertainment purposes. It would be perfect to say that 12 on Shan development has been designed to provide maximum convenience and leisure avenues to the residents. As of now, there isn’t any 12 on Shan price indication. However, you can check out of review below to have an idea on what should the fair market price be. The 12 on Shan showflat will be located on the actual site of the development along Shan Road, however it’s closed for private viewing only. For updates and more information, you can fill up the form below and we’ll keep you posted for the preview/showflat opening. Over the last couple of years, there isn’t really much new launch projects taking place in the Balestier precinct. Looking at the ones near 12 on Shan, there were in fact 2 launches. However they didn’t create much headlines in the property market and went under the shadows of many other “mega” launches. It’s an area where you will mostly find apartments – developments which are rather small, single-block and not much facilities to talk about. But for the true investors who are only looking at freehold and proximity to the core central region in Singapore, Balestier is the one on their “shopping list” for sure. Since 2014, only 3 projects were launched – namely VIIO at Balestier, Neem Tree and Ascent 456. They are within the Balestier precinct, with VIIO being the most prominent of the three as it’s located just next the Zhongshan Mall. In this comparison, we will only use VIIO and Ascent 456 as they are both the closest to 12 on Shan. In terms of scale, 12 on Shan is in fact the biggest among the 3 – with VIIO in second place (48 units) and Ascent 456 (28 units) in third. So how are the neighbours being priced? Looking at both developments, their units were priced as low as $714,000 for a 474-sqft unit, to $1.54 million for a 1.076-sqft 3-bedroom dual-key units (both at VIIO @ Balestier). Using the PSF price as a benchmark, I would say a fair market price for 12 on Shan would be in the range of $1,450 to $1,550 psf on average. Some will probably argue that it’s closer to Novena which is considered a prime area and thus should command a higher premium. However, 12 on Shan isn’t as accessible as compared to its 2 neighbours – which one of them have eateries and a supermarket just right next to it. If the property is for investment, I believe this will be more appealing to potential tenants. In all fairness, 12 on Shan does have an upper-hand in terms of privacy as the other 2 developments are both along the roads and may get a little noisy during peak hours (especially when the frequency of buses increases along Balestier Road). For someone who appreciates peace and quiet within their residence, it’s definitely one of the developments to look out for (provided it’s priced in the similar range as its neighbouring new launch projects). 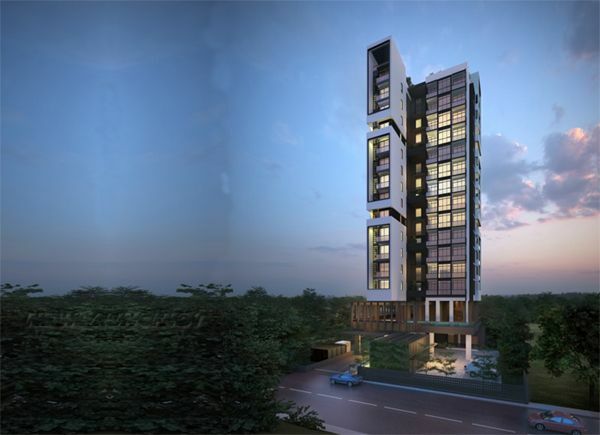 12 on Shan provides a relaxing and livable environment in a prime location, thus assuring convenience and tranquility. The housing complex is perfect for people of all age groups including children as it offers wholesome living experience. This will also make for a nice investment property if one is not looking at it from living point of view. With so much at offer, this housing complex is definitely an attractive accommodation option for buyers to consider. I would like to view 12 on Shan and receive priority information on this project. Thanks.